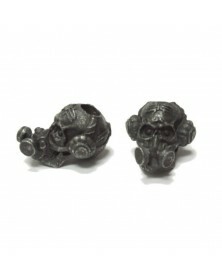 Quality USA made beads from Schmuckatelli Co.
Schmuckatelli Beads There are 29 products. 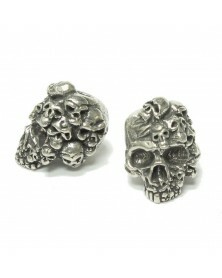 Schmuckatelli Pewter Classic Skull. Made in the U.S.A. Please note price shown is for a single bead/Charm. 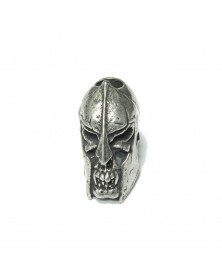 Schmuckatelli Pewter Spartan Skull Bead. Made in the U.S.A. Please note price shown is for a single bead/Charm. 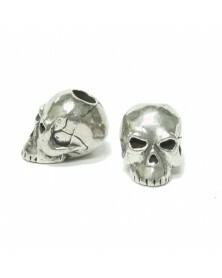 Schmuckatelli Pewter Cyber Skull. Made in the U.S.A. Please note price shown is for a single bead/Charm. Schmuckatelli Hematite Matte Aquilo Sugar Skull. 5mm hole Made in the U.S.A. Please note price shown is for a single bead/Charm. 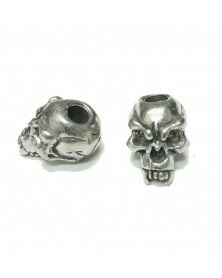 Schmuckatelli Pewter Fang Skull Bead. Made in the U.S.A. Please note price shown is for a single bead/Charm. 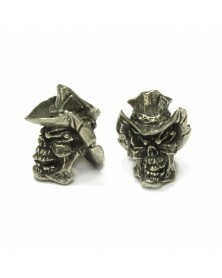 Schmuckatelli Pewter Vinnie Garoon Cowboy Skull. 5mm hole Made in the U.S.A. Please note price shown is for a single bead/Charm. 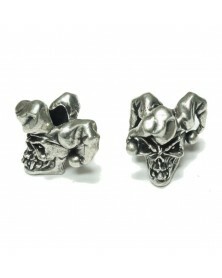 Schmuckatelli Pewter Jester Skull. Made in the U.S.A. Please note price shown is for a single bead/Charm. 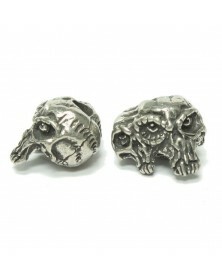 Schmuckatelli bead, pewter Gemini Twins skull. Fits 550 Paracord. Made in the U.S.A. Please note price shown is for a single bead/Charm. 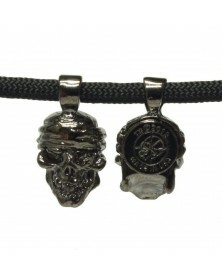 Schumuckatelli Ona Tiki Plated Hematite Matte Finish. Made in the U.S.A. Please note price shown is for a single bead/Charm. Schmuckatelli One-Eyed Jack Hematite Pendant Charm. 4mm hole Made in the U.S.A. Please note price shown is for a single bead/Charm. 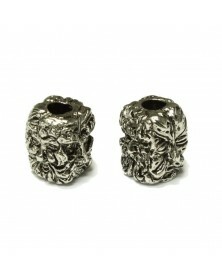 Schmuckatelli Pewter Brous Bead. Made in the U.S.A. Please note price shown is for a single bead/Charm. 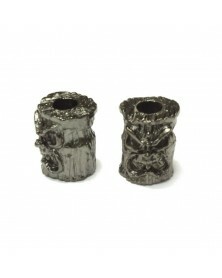 Schmuckatelli Black Oxidized Brous Bead. Made in the U.S.A. Please note price shown is for a single bead/Charm. 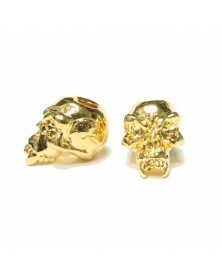 Schmuckatelli Fang Skull Plated 18K Gold USA Made. Fits 550 Paracord. Please note price shown is for a single bead/Charm. 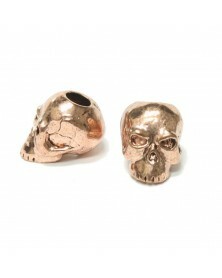 Made in the U.S.A.
Schmuckatelli Antique Copper Plated Classic Skull. Made in the U.S.A. Please note price shown is for a single bead/Charm. 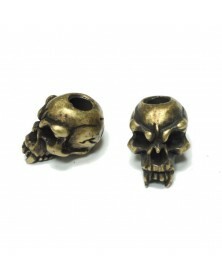 Schmuckatelli Roman Brass Oxidized Plated Fang Skull. Made in the U.S.A. Please note price shown is for a single bead/Charm. 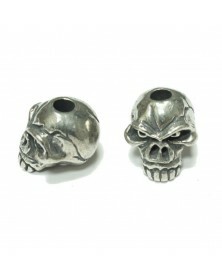 Schmuckatelli Pewter Emerson Skull Jumbo bead. Fits 550 Paracord. Made in the U.S.A. Please note price shown is for a single bead/Charm. 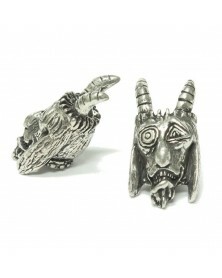 Schmuckatelli Pewter Goat Bead. Made in the U.S.A. Please note price shown is for a single bead/Charm. 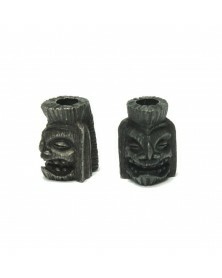 Schmuckatelli Black Oxidized Plated Ku Tiki. Made in the U.S.A. Please note price shown is for a single bead/Charm. 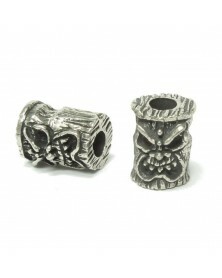 Schmuckatelli Pewter Ku Tiki Bead. Made in the U.S.A. Please note price shown is for a single bead/Charm. 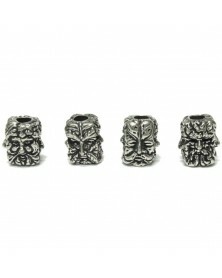 Schmuckatelli Pewter Green Man Bead. Made in the U.S.A. Please note price shown is for a single bead/Charm. 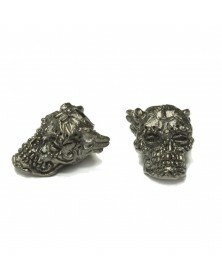 Schmuckatelli Antique Rhodium Plated Green Man Bead. 5mm hole Made in the U.S.A. Please note price shown is for a single bead/Charm. 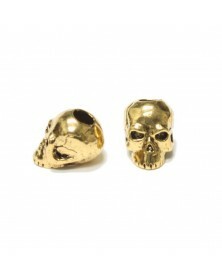 Schmuckatelli Antique Gold Plated Classic Skull. Made in the U.S.A. Please note price shown is for a single bead/Charm. 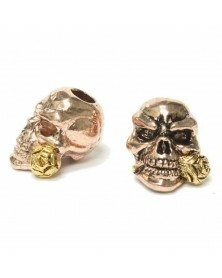 Schmuckatelli Rose Skull 2-Tone Gold Bead. Made in the U.S.A. Please note price shown is for a single bead/Charm. 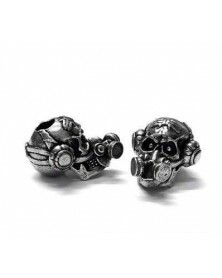 Schmuckatelli Pewter Kiko Tiki. 5mm hole Made in the U.S.A. Please note price shown is for a single bead/Charm. 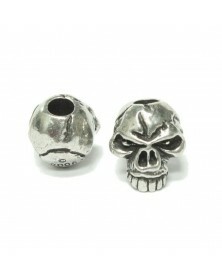 Schmuckatelli Pewter Emerson Skull Bead. Made in the U.S.A. Please note price shown is for a single bead/Charm. 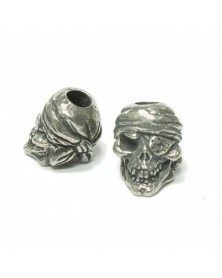 Schmuckatelli Pewter One-Eyed Jack Skull. Made in the U.S.A. Please note price shown is for a single bead/Charm. 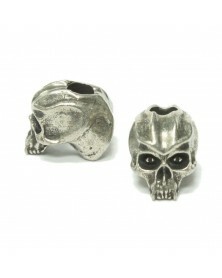 Schmuckatelli Pewter Mind Skull. Made in the U.S.A. Please note price shown is for a single bead/Charm. 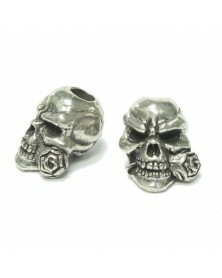 Schmuckatelli Pewter Rose Skull Bead. Made in the U.S.A. Please note price shown is for a single bead/Charm. 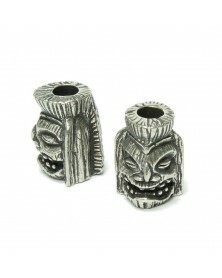 Schmuckatelli Pewter Ona Tiki Bead. Made in the U.S.A. Please note price shown is for a single bead/Charm.